​Gauteng to Bloemfontein - which includes Kroonstad and Welkom - Overnight service. Bloemfontein to Gauteng - which includes Kroonstad and Welkom - Overnight service. Bloemfontein to Aliwal North - Sameday service. 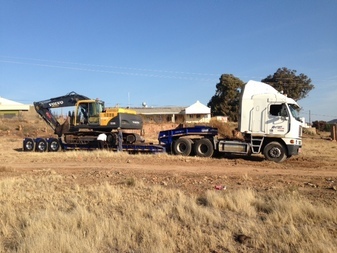 Aliwal North to Bloemfontein - Overnight service. Lowbed transport up to 45 tons to and from anywhere in South Africa.